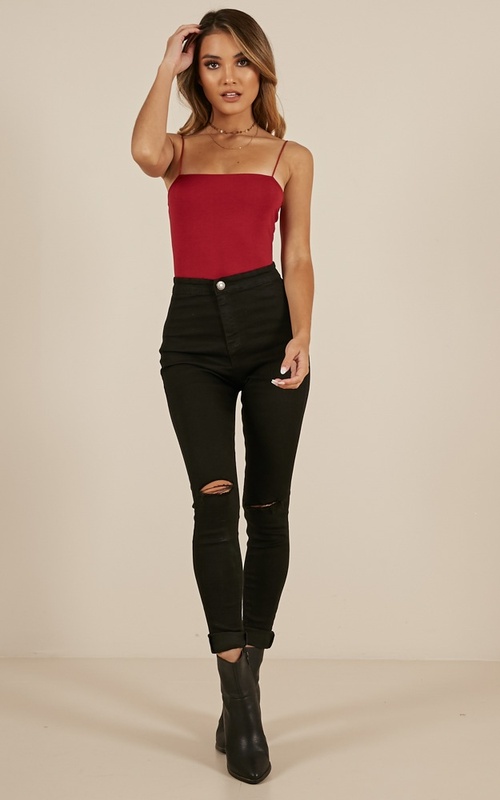 This simple bodysuit is perfect for any outfit or occasion. Its thin straps and simple design makes this bodysuit so versatile. You can seriously wear this with anything! Pair this with a leatherette skirt, strappy heels and a red lippy for a chic outfit or ripped high waisted jeans and ankle boots for a daytime look.